Looking back, 2016 was not only a successful year for growth for Sovereign Health but also a successful year of expressing gratitude within the local communities where we do business. As one of the fastest growing private companies in Orange County, Sovereign worked diligently throughout this year to give back to the local communities. Four main events are highlighted below, which include: NAMI walk, Orlando hotline, Next Step clothing drive and the Thanksgiving food drive. Life skills, resume workshops and professional clothing are all needed to successfully enter the workforce. Professional clothing can be expensive and sometimes unattainable to many who are new to or re-entering the workforce. 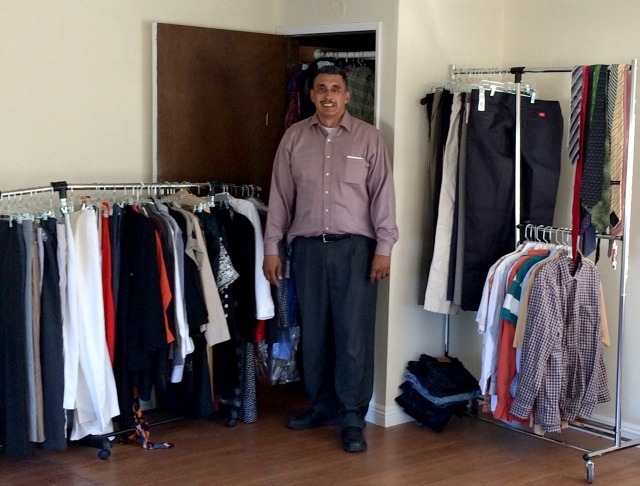 To help those in recovery re-enter the professional world, the Next Step Initiative launched a clothing drive in July, to which Sovereign employees donated nine full bins of professional and casual clothing. “Next Step often emulates a life poem that I have adhered to for many years and the question it poses. ‘Dream Deferred’ by Langston Hughes, asks the question: If dreams are not met by our own expectations then to what effect, negative or positive, will that lost dream have on us? For the patients reclaiming themselves in life, Next Step allows them to reclaim dreams, motivation and consider the next steps to get there. The Next Step staff would like to express our gratitude and appreciation to all Sovereign Health employees who donated business attire and participated in our clothing drive event. Your support helps our Next Step participants in overcoming one of the many barriers in maintaining long-term remission after treatment. Next Step received an abundance of business attire donations to help patients in need and prepare them for community integration,” states Jerry Ibarra, program director for the Next Step Initiative. The Next Step Initiative was launched July 11 in, Chandler, Arizona; Palm Desert and Culver City, California; and Fort Meyers, Florida. As employees give back to the community by giving back to patients, the New Step initiative encourages patients to also give back to their community as well. Giving should be a repeated cycle. The Next Step Initiative will also build collaborations with other departments to seek opportunities to give back to the community. The National Alliance on Mental Illness (NAMI) is the largest grassroots mental health organization in the United States dedicated to raising awareness and breaking the stigma around mental health. Sovereign Health joined the movement on Oct. 1 by leading a team of staff members from our San Clemente and Los Angeles facilities to walk in the annual 5K NAMI walk at William Mason Park in Irvine. 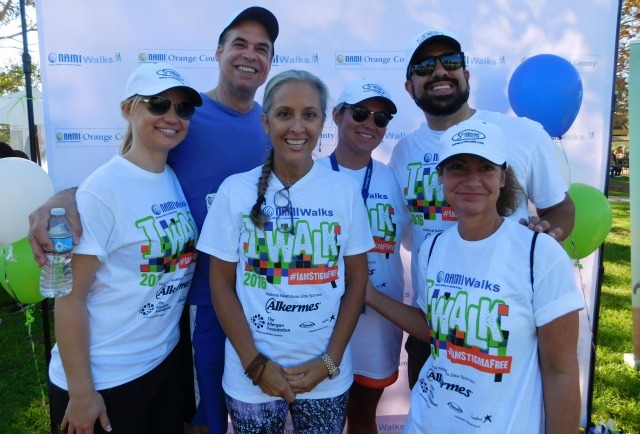 Awareness walks are great ways to raise money for an important cause, raise awareness about the issue at hand, meet new people and get outside to exercise. This could become an annual event for Sovereign Health. Team Sovereign is proud to help raise awareness for those affected by mental illness. Thanksgiving is a time of year to gather with loved ones to share a meal and give thanks, but many people in the United States struggle with hunger on a daily basis and go without a Thanksgiving meal. According to Feeding America, 1 in 8 Americans struggle with hunger and, “While many are spending the extra money for a traditional turkey dinner with all the trimmings, 79 percent of Feeding America’s client households report purchasing the cheapest food available, even if they knew it wasn’t the healthiest option, in an effort to provide enough food for their household.” In keeping with Sovereign Health’s mission to give back to the local community, the San Clemente facility is partnering with Saddleback Church’s new Peace Center located in San Clemente for a Thanksgiving food drive. All donated items will go directly to local families in need for the Thanksgiving holiday. Our hope is to feed up to 50 families this year. Many lives were lost and others were shattered in June when the largest mass shooting occurred at Pulse nightclub in Orlando, Florida. Mass violent acts can leave survivors with many types of mental health conditions. In response to the shooting at the Pulse night club in Orlando, Sovereign Health launched the Orlando hotline to provide support to survivors, victims’ families and loved ones, and to residents of the Orlando area who may be struggling with the repercussions of the deadliest mass shooting in United States’ history. Callers received information about the grief process and intervention assistance, along with referrals to behavioral health treatment providers and other support services. “At this time of national tragedy and mourning, as a leading provider of behavioral health treatment services and a member of the Florida health care community, Sovereign Health is committed to providing support to the citizens of Orlando,” says Dr. Sharma. A leading national behavioral health care provider with facilities across the United States, Sovereign Health plans to give back to the community throughout the 2017 calendar year. For information about our programs to treat mental health, substance use and co-occurring disorders, please call our 24/7 helpline.